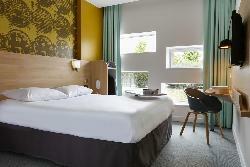 Enjoy the newest and most modern Le Mans hotel which combines comfort, design and the latest technology. 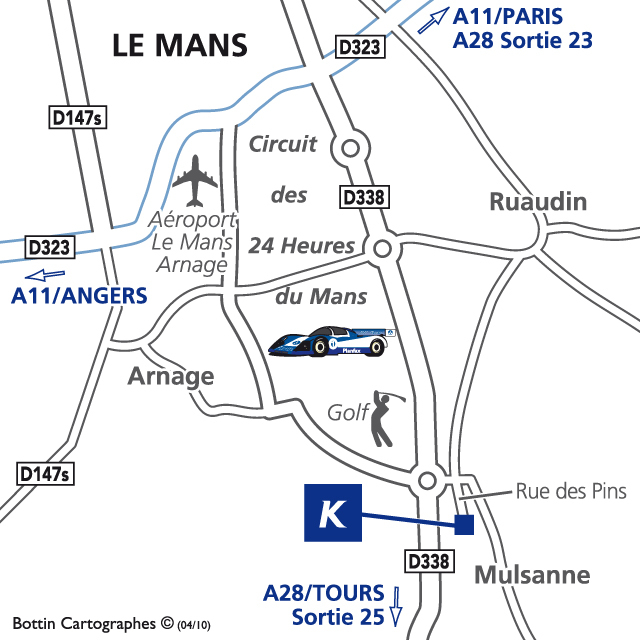 The hotel is located on the La Sarthe circuit, at the end of the famous Les Hunaudières straight, right on the Mulsanne Corner! You can easily view the racing from the hotel - from some guest rooms and now from a newly built 1st floor terrace. The guest rooms have a contemporary design with modern amenities such as free WiFi and flat-screen interactive digital TVs. There are a single, twin and double rooms available plus two family suites. All the rooms are fully air-conditioned. 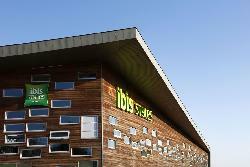 There is fully enclosed private car parking, a bar (open until midnight) and lounge. New for 2018! The hotel has undergone a superb facelift and has extended its bedroom capacity together with the creation of a spectacular 1st floor terrace which provides a wonderful location to view the racing on the Mulsanne Corner. 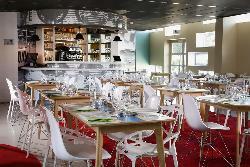 Enjoy a private bar on the terrace or take lunch or dinner in the newly refurbished restaurant. In addition, the Mulsanne viewing embankment is only a 600 metre walk from the hotel - view the racing from close proximity with a great view of a giant screen! Access: Via Circuit Car Parking. Distance to circuit entrance is approximately 6 miles. Please note that due to the hotel's unique location on the actual racing circuit, the police may operate some diversions in the vicinity.